EU Referendum: Brexit Wins. What Next? Boston was one city that caught my eye that had 75.6% votes to Leave. First off all, the UK has not left the EU yet. This will only happen after a 2-year negotiation period. But there are some short-term impacts. The value of the pound has already fallen with the results coming out. This is a good and a bad thing. A weaker pound buys fewer dollars or other foreign currencies, which makes it more expensive to buy products from abroad. However, it will benefit exporters as it makes their goods cheaper abroad. This also benefits Britons/British residents who have invested abroad or receive payments from foreign countries. On the other hand, British residents sending money abroad will be affected negatively. For example, previously £1 translated to 98 INR (Indian Rupees), this has now reduced to circa 93 INR. One of the possible short-term results of a weaker pound is inflation. Price rises may be confined to imported goods like food and clothing, but can spread to other areas. The trouble with inflation is that the Bank of England has a legal obligation to keep it as close to 2 per cent a year as possible. If a fall in the pound threatens to push prices up faster than this, the Bank will raise interest rates. This will make mortgages and loans more expensive to repay. This in turn has a direct impact on rent and house prices. Landlords can hike the house rents and house prices may fall. It would be up to the Bank of England to intervene in the foreign exchange markets – by buying pounds – to try to stabilise its value. If there were a severe shock to the UK economy, the Bank of England might have to consider a cut in rates. In which case, the cost of lending could actually fall possibly leaving rates as they are. A weaker pound will mean expensive foreign holidays for British residents. Both Easyjet and Ryanair have argued that flights will become more expensive, as a result of more restrictive aviation rules. But IAG, the owner of British Airways, has said a UK exit from the EU would not affect its business. Since the UK has not yet exited the EU, I do not foresee any visa restrictions imposed over the next 2 years. But Brexit could bring about some restrictions with regards to travel to EU countries. The cost of using a mobile phone in Europe could also rise. Both BT and Vodafone have said that EU caps to mobile roaming charges might no longer apply. But in reality it would be up to a future UK government to decide whether to adopt the EU price restrictions or not. They are contained within a European regulation, not a directive, so they have not been incorporated into UK law. European investors may start to move their money out of the UK or scale back plans for expansion. This will mainly stem from the lack of clarity and confidence about what would happen in 2 years after the EU exit. Trade with the EU is expected to be unaffected, except that companies elsewhere in the EU may be less interested in buying/selling from/to the UK, expecting tariff barriers to go up in two years’ time. Brexit does NOT mean that the EU population will need to exit the UK immediately. Jonathan Portes, the former Treasury economist, wrote, “given we have no population register, and that EU nationals are not required to have visas, we won’t actually know who is here on 23 June”. Portes says the most likely arrangement is that suggested by Steven Woolf, UKIP’s migration spokesman, that anyone who’d registered for a National Insurance number before the referendum would be guaranteed residence rights. For the two years of Brexit negotiations, free movement of EU workers would still apply, so they can still enter the UK. But their immigration status after Brexit would be uncertain. This uncertainty can deter the EU workers from coming into the UK. This may in turn increase opportunities for other EU countries with skilled worker population like India, China and Philippines. Conservative MEP Daniel Hannan, who campaigned with the official Vote Leave group, said on Friday’s Newsnight show that he believed a post-EU settlement should not result in reduced immigration. In my previous article, I mentioned the key propaganda of the Brexits that leaving will save the UK “£350 million a week” which can be spend on other priorities like NHS (medical), schools and/or housing. However, hours after the EU Referendum results were out, Nigel Farage admits NHS claims were a mistake. If the NHS underfunding can be eased by ending the UK’s contribution to the EU, then we will see improvements to NHS in terms of reduced waiting times and better facilities. However, the Government has not revealed any final decisions in this matter and hence it is only fair to say that there will not be an immediate positive impact on NHS. However, if there is going to be a huge economic impact due to Brexit, then this will also affect NHS. Simon Stevens, the chief executive of NHS England, has warned that the effect of Brexit on economy will impact NHS. “It would be very dangerous if at precisely the moment the NHS is going to need extra funding actually the economy goes into a tailspin and that funding is not there,” he said. 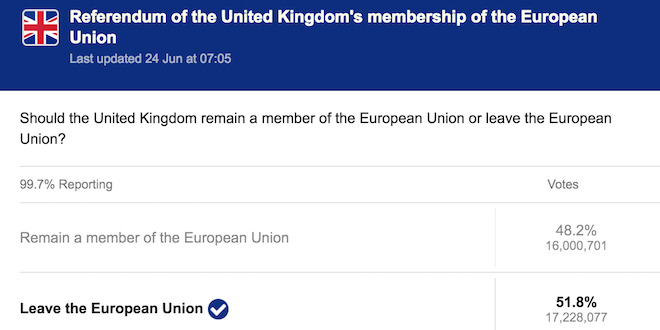 It is interesting to note that during the EU Referendum campaigning, the Royal College of Physicians and the Royal College of Midwives (professional bodies) had backed a Remain vote. The main trade unions, the British Medical Association and the Royal College of Nursing, did not take an official position. But some of the BMA produced documents on EU issues listed more pros than cons for remaining in the EU. The Commonwealth of Nations, or the Commonwealth, is an intergovernmental organisation of 53 member states that were mostly territories of the former British Empire. This includes citizens of India, Pakistan, Bangladesh, Sri Lanka, Nigeria, Uganda, Kenya, Tanzania, Canada, Australia, New Zealand, Malaysia and Singapore. You can see the full list of countries here. Since my husband and a lot of my colleagues belong to this category, I thought this deserved a heading in itself. An interesting note here: In the last 24 hours I realised, most commonwealth citizens don’t realise they are indeed commonwealth citizens. I asked some of them if they had voted in the EU Referendum and received “the surprised stare” back. Commonwealth citizens who are residing in the UK with a “leave to remain” were eligible to vote in the EU Referendum and are eligible to vote in general elections too. The drop in pound rate has caused a minor impact, especially if you are sending money overseas for family maintenance. I have been living in the UK for over a decade and have seen lower rates. So I do not think this is the worst case scenario! There are no new restrictions introduced for commonwealth citizens to travel to other EU countries. Just like the Britons, the weaker pound value will impact your holiday budget though. I do not see any direct link between Schengen Visas (required for travel to other EU countries) and Brexit. The weakening of pound value saw an immediate impact on stocks and shares in most of commonwealth nations. Gold prices soared to a two-year high on Friday, after Britain’s decision to leave the European Union sent investors flooding into safe-haven assets. You can read a detailed summary by Stratfor here. Brexit might give a boost to trade ties between India and the UK. Exports and imports between the two countries have been growing, but the UK is only India’s 12th largest trade partner, well behind other European countries such as Germany and Switzerland. Industry body Nasscom has said the falling value of the pound could render several existing contracts loss making. But this could be just a short-term impact if the Bank of England and the UK Government acts quickly to strengthen the pounds. So what are your thoughts on Brexit? Did it personally affect you? And are there any particular area or issues that concern you? Let me know in the comments below. 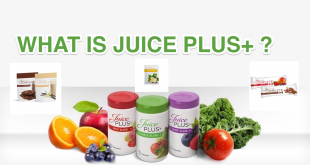 Juice Plus+: What is it all about? Is it Good? Is it Bad? I recently decided to do a trial run of the Juice Plus+ Booster Sachets. Here are my initial thoughts. Let me know your thoughts too. Well written Sony… Would be worth knowing what impacts it has on public services like nhs etc. How is this going to impact directly or indirectly fro. A tax payers perspective…. Thanks for your comment, Aamer. 🙂 I have elaborated the content to reflect some of the news I gathered today.